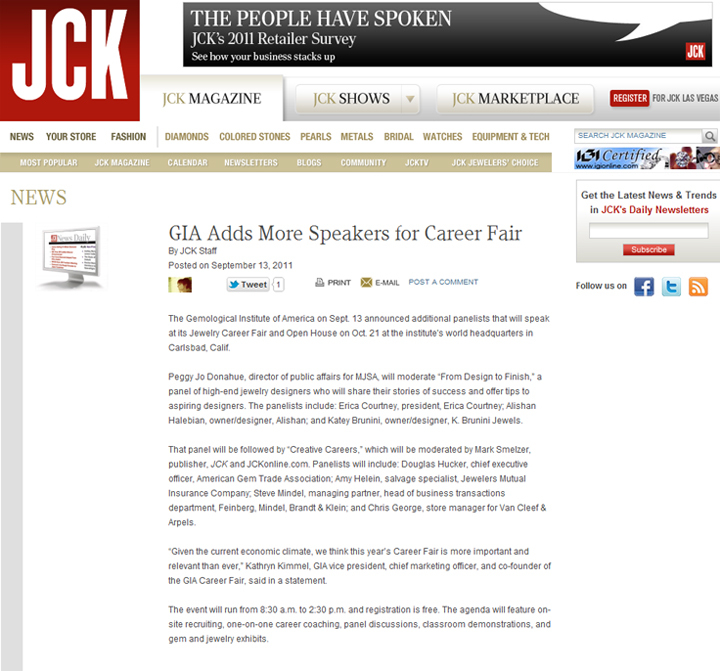 K. Brunini Jewels › Katey Brunini invited to be guest speaker at the GIA Career Fair. Katey Brunini invited to be guest speaker at the GIA Career Fair. GIA invites Katey Brunini to lend valuable insight to attendees of the GIA Career Fair.